Sometimes when you’re out running, that feeling of invincibility hits you. 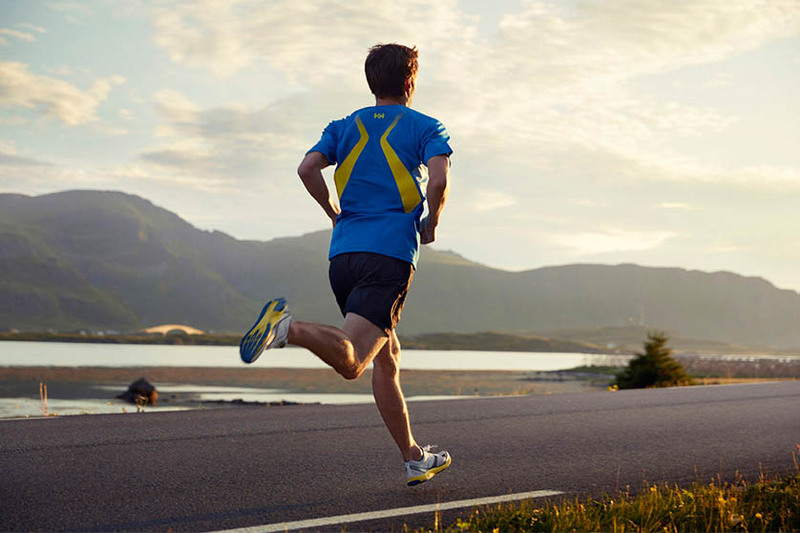 You find the energy not only to run faster, but also to take in and enjoy your surroundings. Ultralight Helly Hansen training gear uses a proprietary Lifa® Stay Dry Technology to wick moisture away from your skin, allowing you to hold on to that feeling even longer. When comfort and moisture management is key, nothing beats the fit and fabric of Helly Hansen‘s Challenger Shirt. 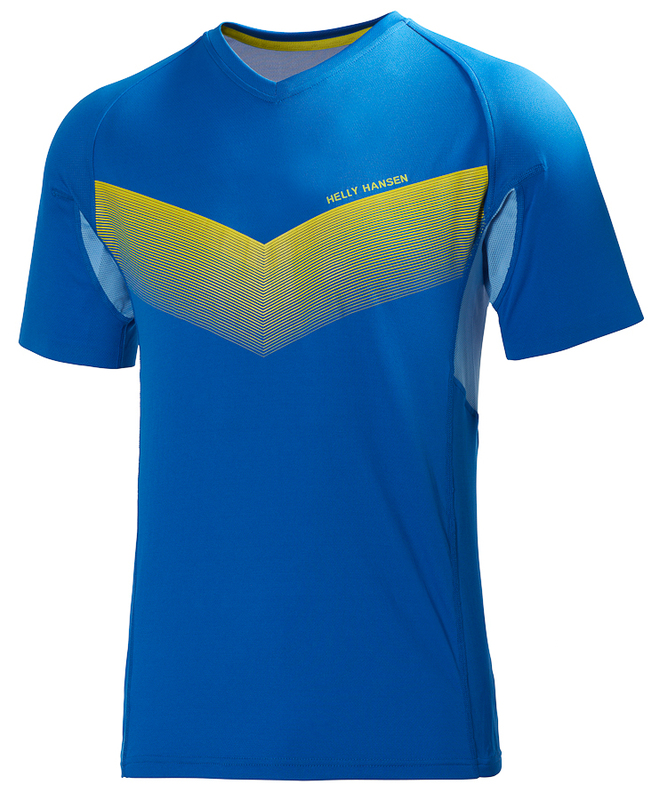 Constructed with the unique HH® Cool fabric that quickly moves moisture away from your skin, this v-neck shirt for men is the perfect partner for any aerobic activity. The Lifa® Stay Dry technology has evolved from four decades of research and Helly Hansen guarantees there is no other short-sleeve t-shirt that can do the job better. Flatlocked seams and a regular fit add comfort for everyday use. Somebody told our garment tester that the reflective stripes on the back of the shirt look like suspenders, but that’s OK – suspenders are cool.